It’s time for the second post of #BeBold2017 and we’re talking about blogging goals! (Yes, I’m a few days late, oops!). Goals are so hard to come up with because you want them to be reasonable and achievable, but not too easy that it doesn’t feel like you actually accomplished something. I’ll admit I really didn’t accomplish any of my goals. They are decent goals, but I just didn’t achieve them. I plan to accomplish these goals this year, as well as the new goals I have. Be consistent with my blogging. My goals is a least a post a week, maybe even two! Become more consistent with my social media pretense and grow my Facebook and Twitter profiles. Rebrand Modern Laine. I want to settle on a color scheme, blog graphic & niche for my blog. The niche might be the hardest part. Owning your own business is fun and challenging! I’ve been a business owner for a year and a half now, and I’m hoping to really grow my business during 2017! Take on two more clients. Brand and promote my Modern Laine Consulting website. 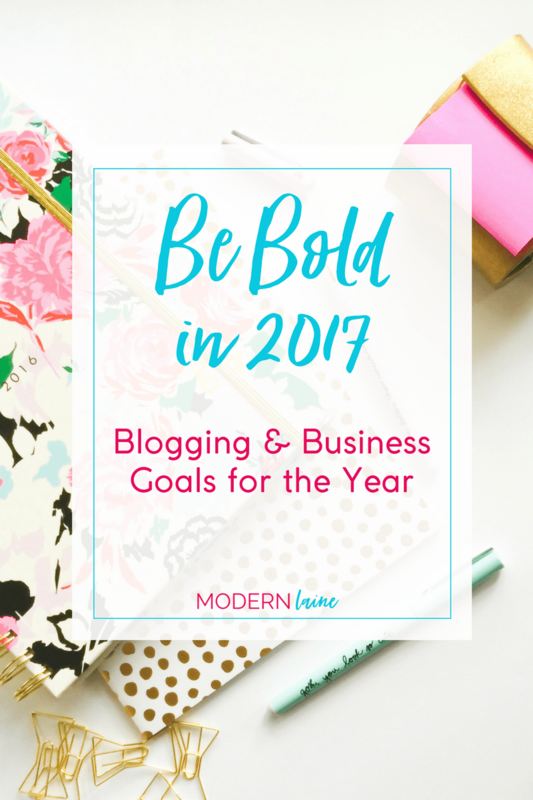 What are your blogging or business goals for 2017?